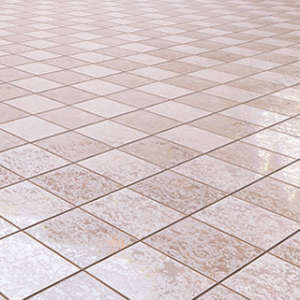 Are Your Tile & Grout Floors Getting Dirty? Now with the nice warm weather, it is time to get your home cleaned up and back into shape. Small renovations and updates can help make your home more welcoming to others when they come in. You can even really freshen things up with some professional cleaning. Flooring is definitely a key feature to make your home warmer and welcoming to others. However, when dealing with tile and grout, it seems that you can never get it clean enough. Here are a few tips to help you with your tile and grout floors in your home. Nothing can bring down the warmth and the comfort in your home more than having dirty and stained tile. The best way to get tile and grout cleaned is to have a professional come in and handle it. If hiring a professional is just not in your budget here are some quick DIY tips to clean up your tile and grout floors. Many of us tend to put off treating and cleaning stained tile and grout because it so difficult to clean. Grout has small pores that grime and dirt can get stuck into. Thus making it hard to clean your grout back to new. When you start the cleaning process on your floors, you first want to sweep or vacuum away any loose debris. This will help prevent dirt from getting ground down further into the grout as you begin to mop the floors. You should never use bleach or any other harsh chemicals when cleaning your grout and tile. Only chemicals that have been approved for the job should be used. Tile and grout act just like carpet. Small dirt and particles brought into your home can get trapped in the pours. Thus, keeping the smell and dirt locked into your floors. Tile can lock in odors from feet, shoes, drinks, or even food. In a recent study done by the University of Arizona, they discovered there were nine different types of bacteria in tile and grout floors. Many types of theses bacteria’s that were found could lead to infection to your stomach, eyes, or even lungs. Having a professional come to clean your tile and grout is a wise investment. Regularly scheduled cleaning tends to prolong the life of your expensive flooring. Having a professional come clean your floors will also save you the frustration and headache from doing the job yourself. When you notice your floors starting to smell or becoming discolored this should be a good sign that your floors are due for a professional cleaning. Here are a few tips to keep your floors smelling and looking fresh after having your tile and grout cleaning done.